Accident Attorneys - Damages – What is Your Case Worth? Many of our clients wonder how we as attorneys set a value on their personal injury case. It’s a natural and obvious inquiry, so we now take the opportunity to explain how attorneys value cases. Since this is a multi-step process, this month we focus on the question of liability, or how we determine who is at fault for an accident; we’ll reserve an analysis of damages for next month. The White Plains accident attorneys at Worby Vecchio Edelman are well-versed in the valuation of cases based upon injury and liability. Since the client is the one who has suffered the injury and the attendant pain and suffering, bills, job loss and other limitations, we are never surprised at the tendency of an injured party to evaluate the value of their case based upon the extent of that injury. That injury might have involved a painful surgical procedure, or an extended hospitalization, and time away from work and regular daily activities. However, before we can put a value on a particular injury or set of injuries, we have to be aware of the extent of a defendant’s liability for the accident at issue. New York permits a defendant to defend a case in more than one way. The most obvious argument that a defendant can make is that she was not at fault for the accident. That argument may apply in a fall down case, where a defendant argues that the plaintiff tripped over a trivial defect, that the defendant did not have prior notice of a dangerous condition, or that the condition was open and obvious and not inherently dangerous. In addition, New York recognizes the defense of comparative negligence. This defense permits the argument that even if the defendant was negligent, the plaintiff was also at least partially negligent. If a jury agrees with this argument and believes that a plaintiff was partially at fault for an accident having occurred, it will be asked to apportion fault between the two parties. 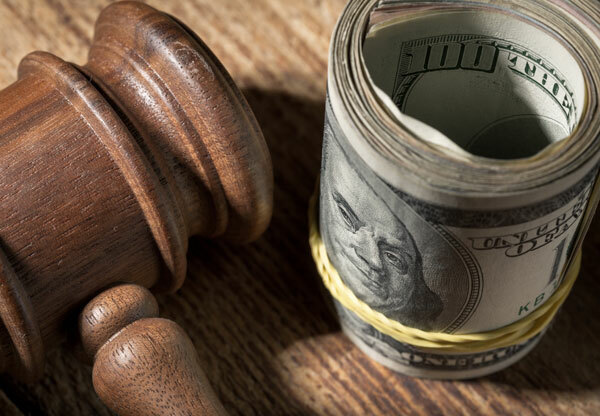 The plaintiff would then be entitled to receive whatever amount of money the jury awards, reduced by the percentage of the plaintiff’s own negligence. If we believe that a defendant is likely to be found 100% at fault at trial, we will evaluate the case much differently than one where our client might be partially at fault for the accident. Examples of accidents where a defendant is 100% at fault might include an automobile accident where a defendant struck our client in the rear, or where the accident was caused due to a defendant’s failure to obey a stop sign or other traffic control device. Our experience permits us to present the best argument under any factual circumstance in order to minimize our client’s partial fault for the accident. That is why we attempt to obtain specific information as to how the accident occurred at our first meeting with a new client. Some other types of accidents are more likely to result in a finding of 100% liability against a defendant. One example is a construction worker injured as a proximate cause of an elevation-related accident, because in that type of accident, a commercial owner and contractor are automatically responsible, even if the accident did not occur as a result of that party’s negligence. In that type of accident, the law does not recognize a worker’s comparative negligence (see our blog entry posted on March 27, 2018 for more information on Labor Law cases). Of course, a full explanation of how liability is determined in any particular case is a far more complicated analysis than we can hope to offer here, but having the right attorney to handle your legal matter can make an enormous difference in the outcome. The White Plains accident attorneys at Worby Vecchio Edelman have a combined over 150 years of experience in the field. We’ll review the facts of your case in order to present the best legal argument possible. We offer a free, no obligation consultation, and we work strictly on contingency, so there’s never a fee unless we recover money on your case.